Developer HOSOKAWA Jun, an Embarcadero MVP out of Japan, has a blog post up with an extended TWebBrowser component for Delphi XE7 Firemonkey that works on Windows, Android, IOS, and OSX. 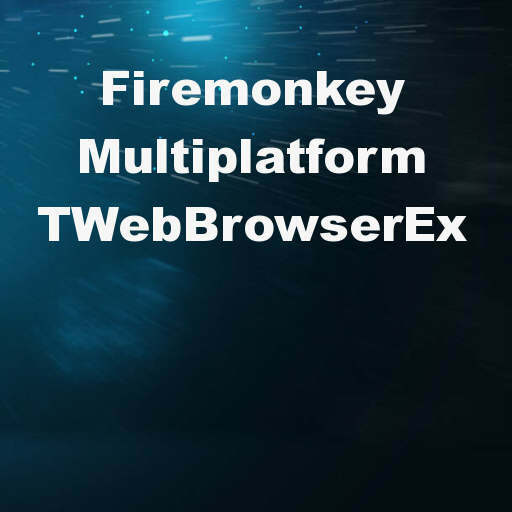 This TWebBrowserEx component is different from previous multiplatform web browser components for Firemonkey in that it uses Internet Explorer on Windows instead of Chromium. On Mac OSX it wraps the WebKit control. This means that there are no additional files that you have to distribute with your application. It simply adds the Windows and Mac support onto the existing mobile only Firemonkey TWebBrowser. The source code is available on Github. There is not package to install the component so you simply include it in your uses section and create it manually. The component also works in Delphi XE6 and Appmethod (and even XE5 with some code changes). The blog post is in Japanese so use Google Chrome to translate it on the fly. Head over and check out the full blog post about TWebBrowserEx for Delphi XE7 Firemonkey. Or head directly to the Github source code for TWebBrowserEx and download it. Trying to load a website using TWebBrowserEx. In that website we have file upload control. If we try to click on that “Choose File” nothing is happening. Could you please check this.